After you’ve taken care of your dog team, fed them, spread straw down for them to rest, slip into your sleeping bag underneath the Yukon sky and watch the aurora’s dance above you. 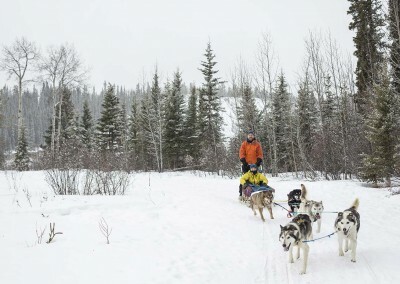 You will learn how to care for the dogs, harness and “bootie” them and handle a dog-sled At the end of the day Rookies can help with evening feeding and share trail stories over a fine dinner. 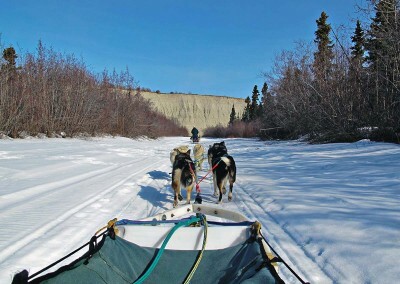 Retreat location outside of Whitehorse in the Ibex Valley allows for spectacular Northern Lights viewing. Day One Arrive for 4pm check-in Sunday. Get acquainted with our off-grid lifestyle. Day Two Meet your guide and sign out your gear for your trip. 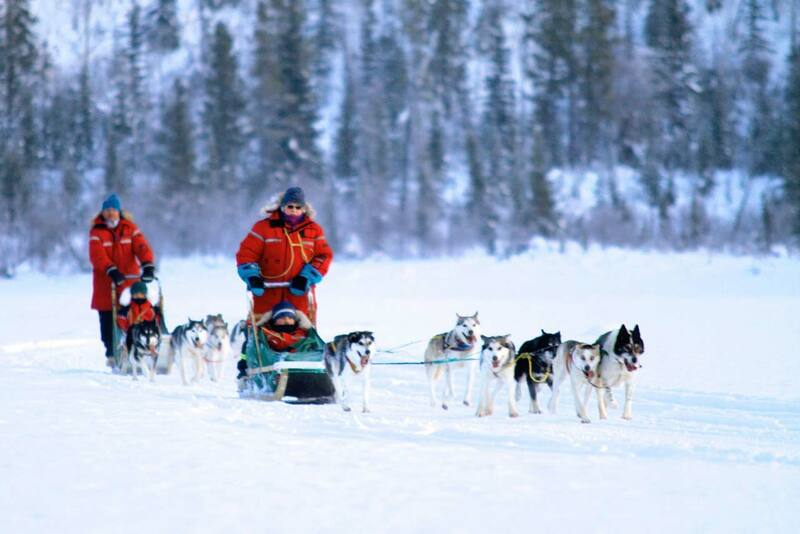 Let’s not waste any more time and introduce you to our family of huskies and your dog-team for your adventure. you will learn the basics of how to harness and bootie the dogs, before you will head out on the trail after lunch time for a short run. 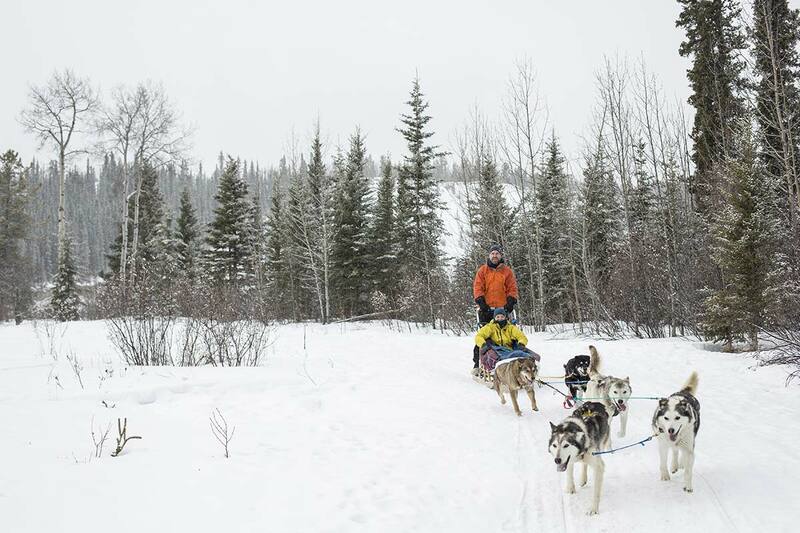 Day Four After 2 days of dogsledding we will give our muscles a little rest and explore the Wildlife preserve and go for a soak at the hot springs. In the afternoon we will try our luck at ice fishing. 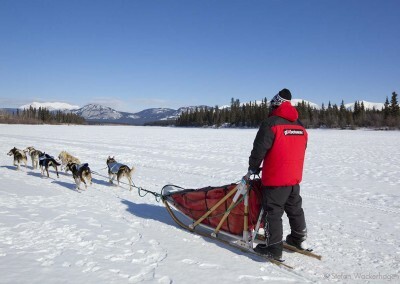 This day is flexible and we can make a plan with the group once everybody arrived at Muktuk. Day seven Return from camping adventure back to the Muktuk Adventures Lodge. You will have a new found appreciation for a hot shower and a couch next to the fireplace. Day Eight Give your farewells to the dogs and prepare for checkout 11am. 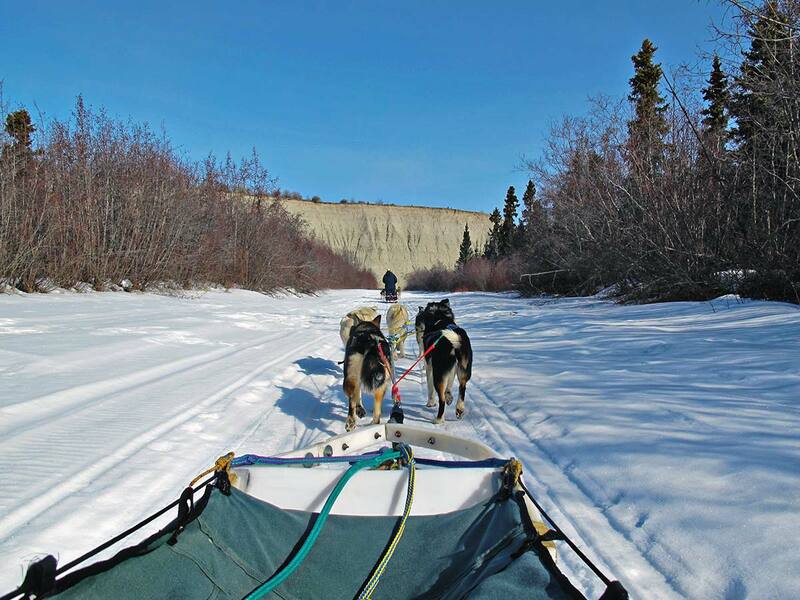 Transfer to the airport or to your hotel in town if you choose to explore Whitehorse a bit longer. Please read and understand the waiver and health forms Agreement. You must submit these forms at least 21 days prior to trip departure. Availability depends on weather and trail conditions. Muktuk Adventures reserves the right to cancel tour and/or offer other options which may have different rates. In case of cancellation all payments are transferable for up to one year or the end of the following season. Minimum 2 people must be booked within this trip or subject to cancellation. Adult prices quoted, without GST. Reduced rates available for youth and children. Prices are subject to change.